Editor’s Note: This post was written by Mtbr contributor Andrew Yee, who runs Cyclocross Magazine. A modified version was originally published on www.cxmagazine.com. The line of Red eTAP road-oriented components features 12-speed cassettes, 1x RED 1 eTAP and RED eTAP 2x chainring options, and 12-speed electronic shifters and derailleurs. It also includes 12-speed electronic Eagle X01 and XX1 shifters and rear derailleurs, an electronic Rock Shox Reverb dropper post, and some interchangeability between components. A Bluetooth mobile app helps the user configure and maintain all the components. Today, we deep dive into the new component options from SRAM, with a focus on cyclocross and gravel applications. AXS is a new ecosystem that allows new SRAM electronic components to communicate and be configured and monitored by a Bluetooth-enabled mobile app. SRAM is adding one extra cog and speed to its 2x RED eTAP drivetrain, making it a 23-speed setup (small/small is blocked). SRAM now has a 1x RED 1 eTAP option, as ridden by Cyclocross Worlds winners and medalists in Bogense last weekend. SRAM has made RED eTAP more offroad worthy not with a clutch but with a fluid damper in its rear derailleur. 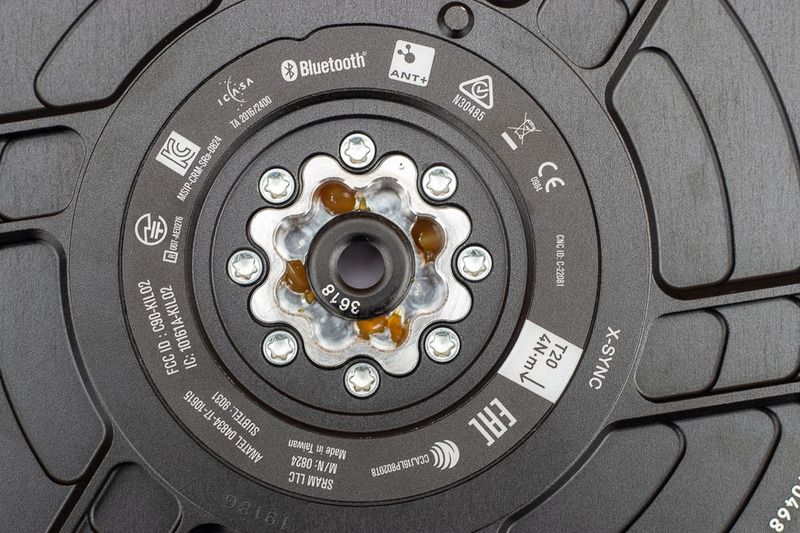 Everything in AXS relies on XD and XD-R drivers and 12-speed cassettes. SRAM Eagle AXS introduces new XX1 and X01 electronic derailleurs and shifters that work with existing Eagle cassettes, chains, and crankset. The derailleurs also work with RED ETAP AXS shifters. SRAM Red eTAP AXS is available today, while Eagle AXS comes out in April. SRAM says a Force version will be released in April. Since January 14, I’ve ridden five different bikes with different variations of the SRAM AXS electronic component system, on different terrain. With the limited but diverse ride experience on the components, I attempt to break down what the new component options mean for consumers, especially cyclocross racers and gravel riders. 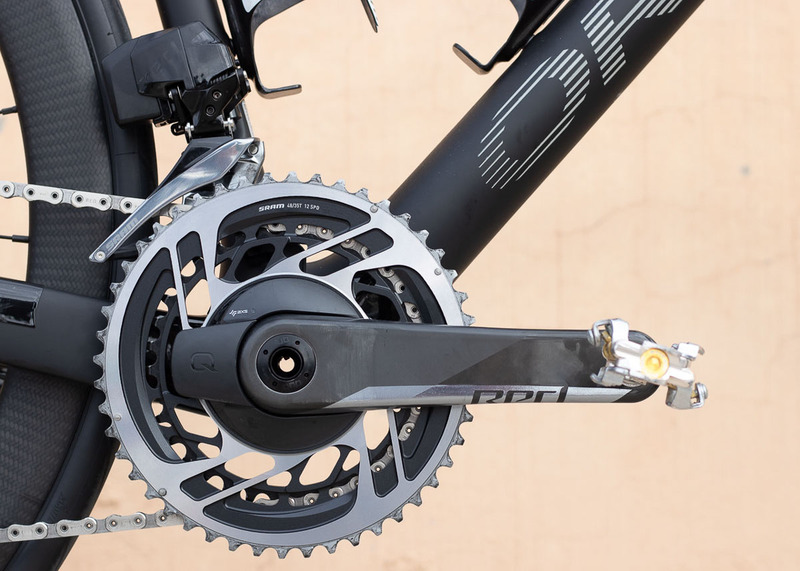 AXS is short for “access,” not “axis.” With the launch of SRAM AXS, consumers gain access to significantly more SRAM Red eTAP gearing options, with another cog out back, eight X-Sync 2 wide-narrow chainring sizes (36-50t) and three 2x chainring options, paired with three XD-R cassette options. New replaces old in terms of components. The new SRAM Red eTAP 12-speed drivetrain shares nothing in common with the 11-speed eTAP except for derailleur batteries and brake calipers. The two generations of components are not compatible with each other, even though the shifters are largely unchanged other than some new textures and easier access to the battery. The RED eTAP AXS group has just one rear derailleur. There isn’t a WiFli long cage option, a separate Red 1 option or a clutch 1x option. The Red eTAP AXS derailleur doesn’t even use a clutch. 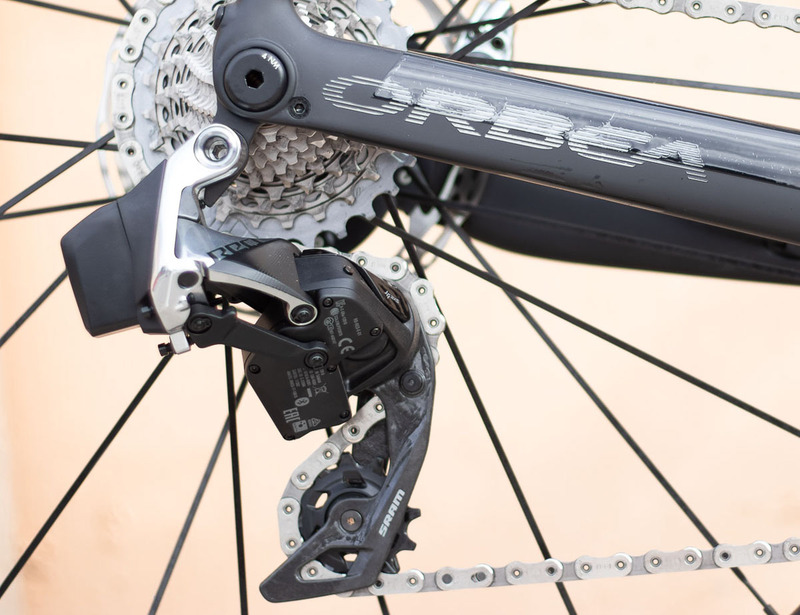 Instead, for chain security on both the 1x and 2x configurations, the rear derailleur uses what SRAM calls Orbit. Orbit is a fluid damper that doesn’t add resistance during shifting while still greatly reducing chain slap. The derailleur skips the roller bearing clutch and cage lock found on the Force 1, Rival 1 and Apex 1 derailleurs. 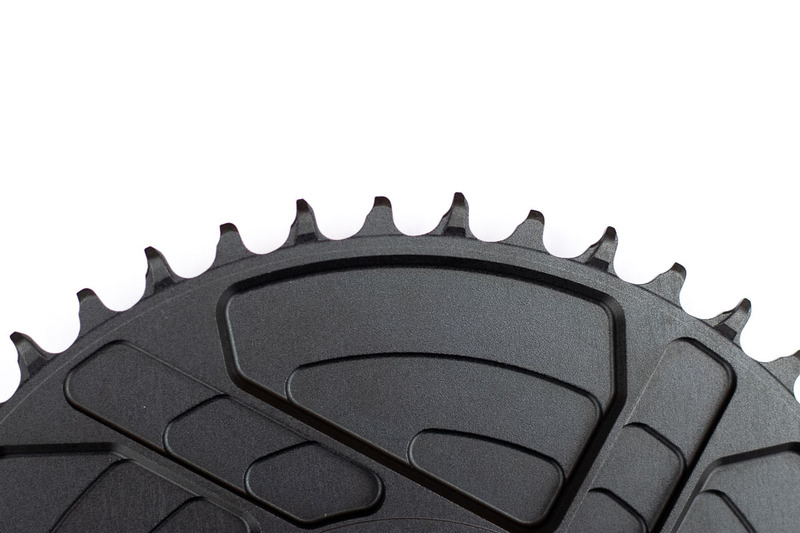 The cassette and chainrings are new, with new tooth profiles and narrower spacing between cogs. There are new 4-arm X-Sync 2 chainrings with narrower, more sculpted teeth and new cassettes that require an XD-R freehub body. The Flattop chain is also new. 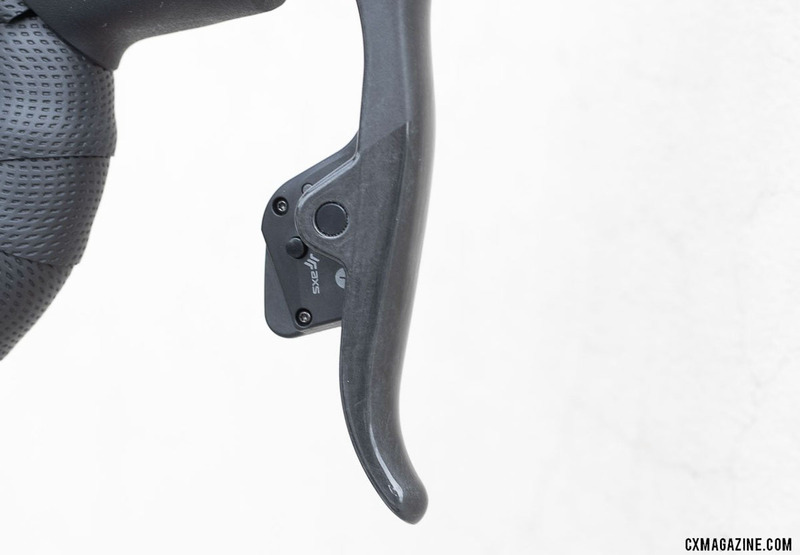 It’s asymmetric and designed specifically for the RED eTAP AXS components. It comes with a one-time-use quick link. Want even more gear range? You’ve got access to that by pairing an X01 or XX1 AXS electronic Eagle rear derailleur and 10-50 XD cassette with SRAM Red eTAP AXS shifters. SRAM staffers call this the mullet bike setup: all business in the front, and party in the back. Consumers also gain power meter options. 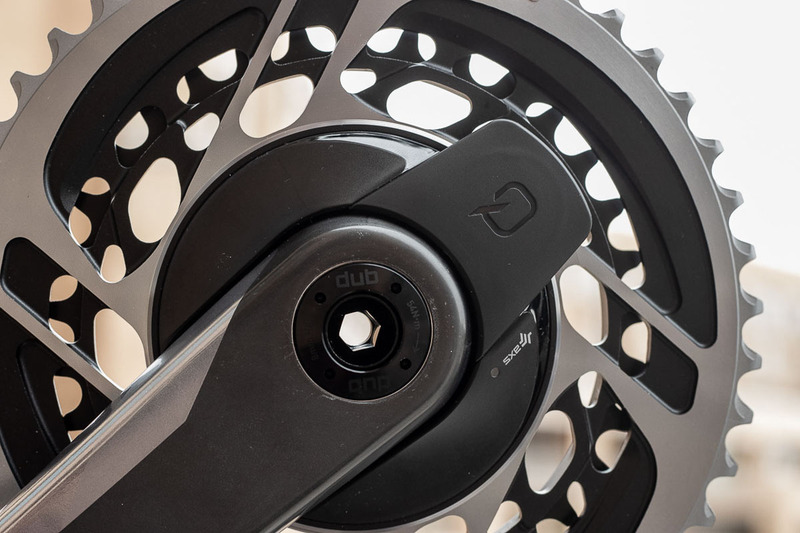 All cranksets are available with Quarq power meter options, and in the 2x setups, the power metering is built into the chainring and is an easy, if not expensive, upgrade by just swapping the two chainrings. 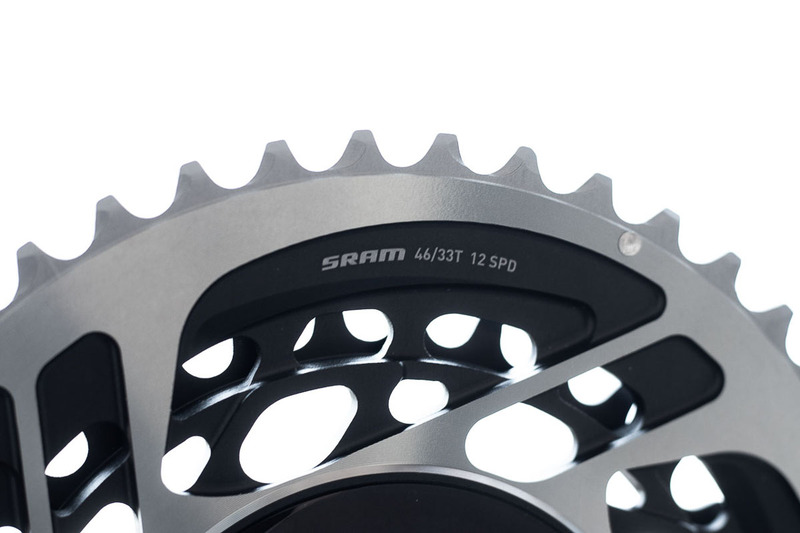 The crankset adopts SRAM’s new “DUB” bottom bracket standard. Single chainring setups use a four-arm spider, similar to that found on the entry-level Apex 1 crankset but not identical. Rings now use eight inner bolts, not three, to attach to the crank arm. At the heart of the entire AXS ecosystem is a mobile app that handles configuration, firmware updates, maintenance reminders and more. 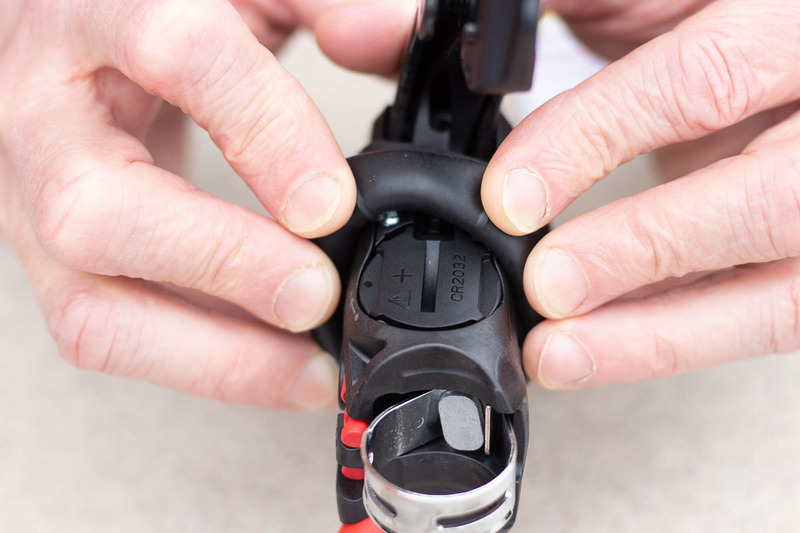 While the app and a mobile device are not necessary for anyone to set up or ride a bike with RED eTap AXS or Eagle AXS, they are useful to configure component behavior. Whether you want to swap your right and left shifter behavior or configure shift modes, you can do it while on a ride, from your phone. The most interesting feature of this app during testing was being able to select between Sequential and Compensating shift modes. Sequential mode, similar to Shimano’s Synchro Shift, automatically shifts the front derailleur when you need taller or lower gears. 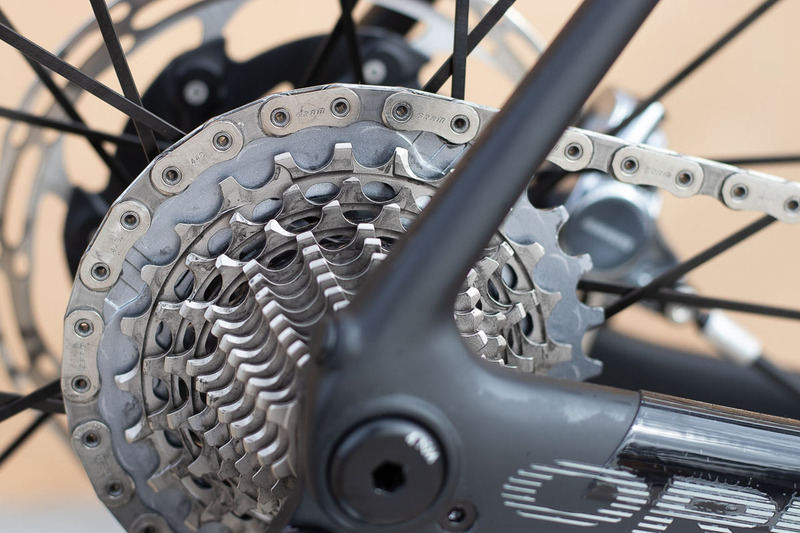 Compensating mode requires you to initiate a front shift, but will automatically shift the rear derailleur one or two cogs to reduce the jump in gearing. Through the app, you can also configure how many gears multi-shift (holding down the shift button) will shift at a time. Swap out your cassette for different terrain? You can also record this change in the app, and the information will impact the Sequential mode shifts. Once you start your ride, if you regret your shift mode choice, you can always turn it off by tapping a little button on the inside of your shifter. These buttons will toggle the shift modes on and off. Enough about the tech. What about the ride? After a road ride, a gravel ride, a mountain bike ride and then a few rides in my home terrain, I came away thoroughly impressed. The new SRAM eTAP AXS 2x drivetrain is quiet, quick-shifting, and offers low drag. 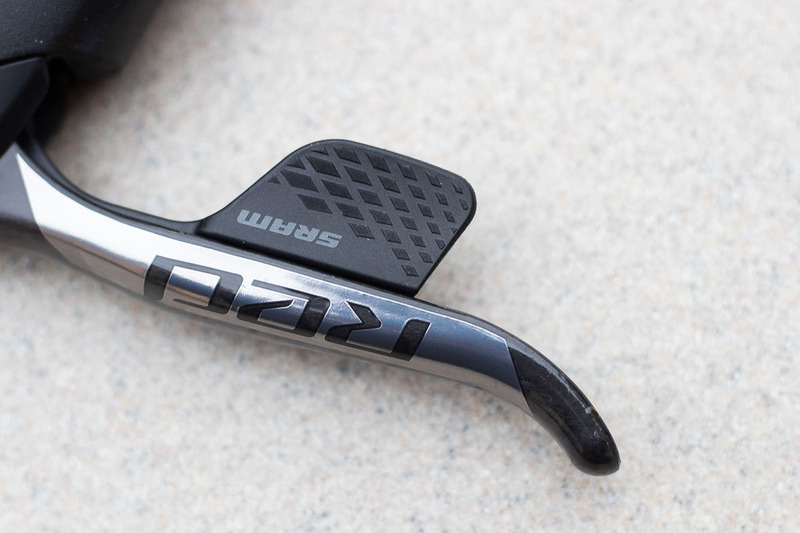 The shifting feels slightly faster than 11-speed eTAP, and SRAM confirmed that shift speed is indeed a bit quicker. The system, with its new chain, cassette, pulleys, and chainrings, is very quiet while clean. 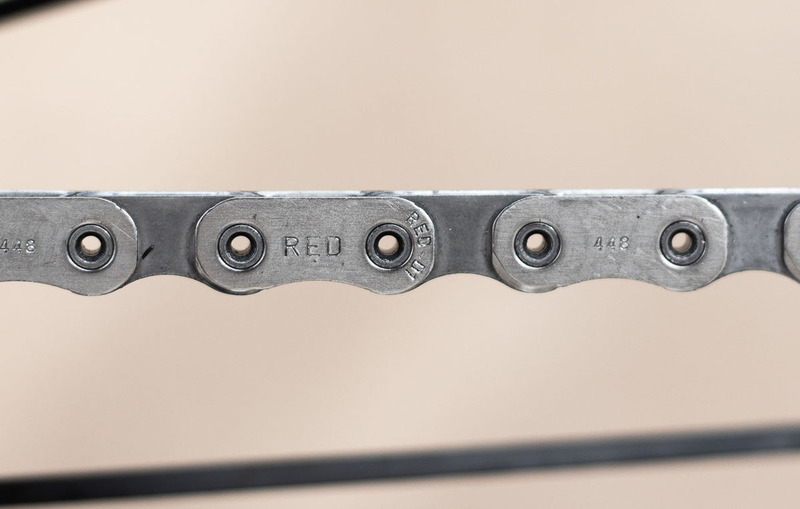 Because all the SRAM RED eTAP AXS cassettes are relatively tight in range, the shifts don’t require much chain or derailleur movement and they glide into place. It’s quite remarkable how quiet shifting is on a 10-28 cassette. Swap out the cassette and rear derailleur for massive 10-50 Eagle version, and the familiar clunky sounds of the chain dropping onto each cog return. 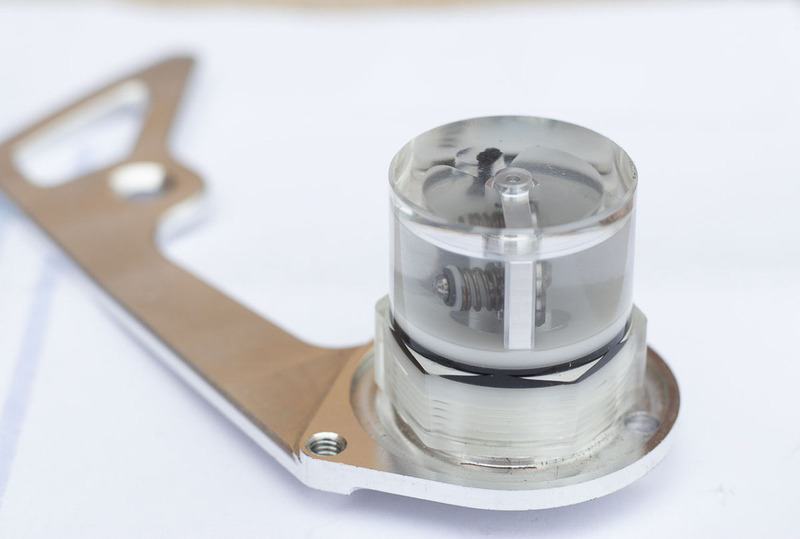 The Orbit fluid damper seems to do its job quite well. In all but one situation (more on that later), the chain remained secure and avoided slapping my test bikes’ chainstays. While the crankset does not come with traditional cyclocross chainring options (36/46), the 33/46 combination is quite versatile and splits the difference between “compact” 50/34 gearing and cyclocross gearing. My initial experience suggests that this 33/46 dual chainring combo will do quite well in hilly cyclocross racing, and especially when paired with SRAM’s Compensating shift mode, as it won’t suffer from such big jump as you feel when shifting between a 50 and 34 chainring up front. Speaking of shift modes, in gravel and cyclocross riding with a 2x setup, SRAM’s Compensating shift mode is both intuitive and convenient. Whether you are shifting to the small chainring or big, the auto-shift in the rear eliminates a few manual shifts, lets you focus on the course, and reduces the shock to the legs. Sequential shift mode was another story. While it effectively lets you forget about front shifting as you make your way through the bike’s gearing, therein lies the danger. As someone who grew up on friction down tube shifters, it’s been forever ingrained in my brain that I need to let up on my pedaling force while shifting up front. In Sequential mode, it’s easy to not realize you’re about to trigger a shift up front. That’s a blessing, and in my case, a brief curse. Heading into a little riser, I downshifted while out of the saddle. Since I was in my big ring and near the top of the cassette, the Sequential shift triggered a shift to the little ring to avoid cross-chaining, but I continued to pedal as if it’d just be a rear shift. The chain dropped off both rings and left me on the top tube, quite surprised. Later, SRAM’s Nate Newton determined my front derailleur’s limit screw wasn’t perfectly adjusted. We pushed the limit screw into the point of the front derailleur’s cage barely rubbing the chain, and I gave it another shot. Sure enough, I couldn’t drop the chain no matter how much I tried. However, at least for now, the experience cemented my preference to be in control of when a front shift happens. SRAM has cornered the 1x market and reports that nearly 3 out of 4 participants in the 2018 Cyclocross Nationals in Reno were riding its 1x drivetrains. Cyclocrossers using SRAM 1x drivetrains who use 11-42 (or 10-42 XD) wide-range cassettes for gravel and general riding and then swap to tighter cassettes for cyclocross racing may feel left out by the new offering. Sure, you can pair the 10-50 Eagle cassette and rear derailleur with RED eTAP AXS shifters, and enjoy 1 extra cog and a wider range, but you’re stuck with the 10-50 cassette with the Eagle derailleurs. The mountain AXS derailleurs are not designed to work with a SRAM Red cassettes, forcing you to swap rear derailleurs if you want to run tighter gearing than a 10-50. The 2x SRAM RED eTAP AXS options allow for plenty of range of gearing, with the added benefit of smaller jumps between cogs because of the extra gear. It’s worth noting that even with a 12-speed cassette and 2 chainrings, there are only 23 “speeds” because SRAM blocks out the small/small 10t combination. 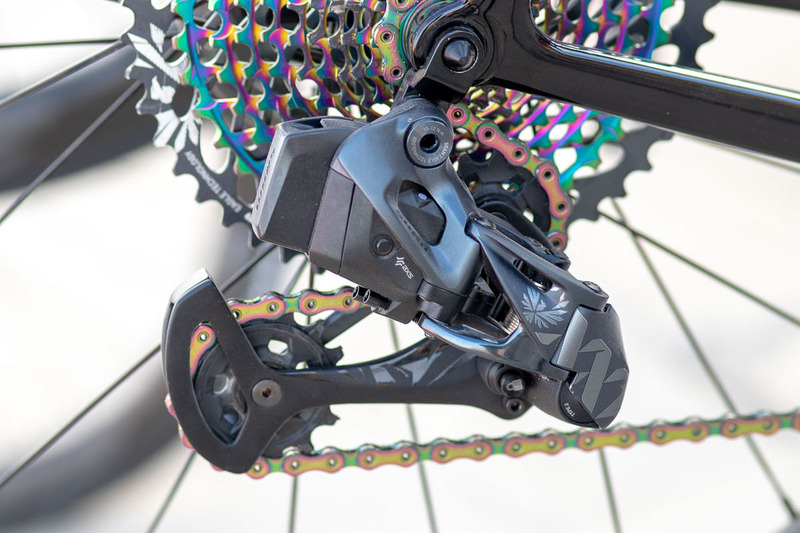 It seems like, with the first release of the new eTAP AXS group, SRAM is targeting the segment of cyclists that use competitors’ products because of gearing or chain management concerns with SRAM’s current 2x options. 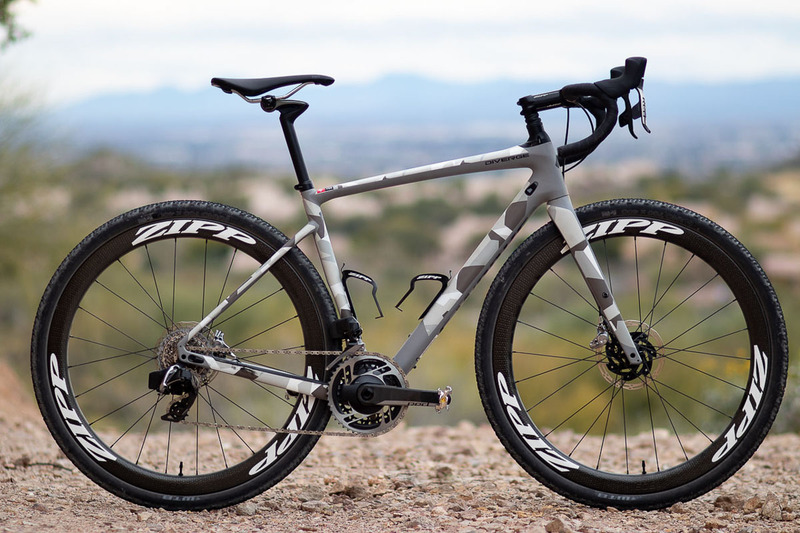 Company representatives conceded this fact and hope the new RED eTAP AXS will win over enthusiasts who remain on Shimano 2x, clutch-based drivetrains for gravel. However, if you’re a SRAM 1x fan who swaps between cassettes and are excited to add an extra cog and electronic shifting, you may want to wait until more derailleur or gearing options are released before jumping on the AXS bandwagon. 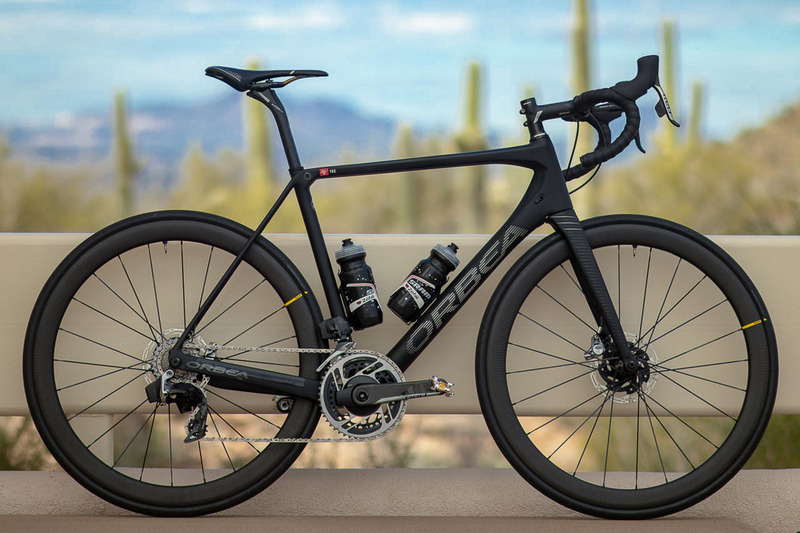 Perhaps that will come in April with the expected launch of SRAM Force eTAP AXS? For us cyclocrossers, it would also be nice to see a lower profile derailleur design, similar to Shimano’s Shadow Plus. Just one windblown knock over on the drive side was all it took to tweak a derailleur hanger. That’s certainly better than ruining an expensive derailleur, but a lower profile might save a few hangers, derailleurs and races, especially in slippery conditions. Prospective customers who are drawn to the built-in power meter options should note that the power meter is built-in to the dual chainrings. Want to change chainring sizes? Damage your chainrings hopping the barriers? A replacement set will cost you a whopping $800. Lastly, even though the front derailleur uses Yaw and shifts quite well, I think it could benefit from having some smart auto-trim. Newton says you need to push the inner cage plate up against the chain when it is slack, and chain tension will remove any noise while pedaling. This doesn’t quite work all the time. During easy spins, you can still hear a bit of rubbing, but after my Sequential chain drop, I’m a little paranoid about backing the limit screw out any further. At the 2019 Cyclocross World Championships in Bogense, Denmark, a handful of athletes were testing the new AXS components, with several of them ending up on the podium. Give the results, we can say the tests went quite well. SRAM RED 1 eTAP AXS won both the U23 races, with Top Pidcock and Inge van der Heijden eTapping their way to rainbow jerseys. In the Elite races, Wout van Aert and Marianne Vos both took medals riding the Red 1 eTAP AXS setup, while Laurens Sweeck and Jolanda Neff also piloted the drivetrain to top-ten finishes. It appeared that Ellen Noble had a test group on her bike as well. SRAM eTAP AXS and Eagle AXS are SRAM’s top-of-the-line component options, and of course, won’t come cheap. 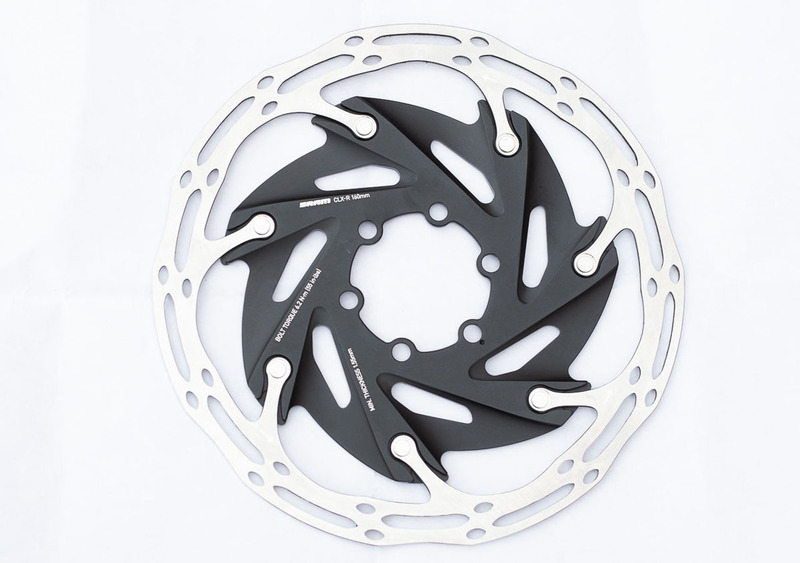 Component groups start at $3198 for Hydraulic Road Disc 1x, while a 2x option goes for $3648. That’s $450 for an extra chainring, front derailleur and battery. There are also options with power meters and aero shifters and chainrings. See the table below for all variations. Overall, the component group looks to have put on a little weight compared to 11-speed eTap based on published group weights. 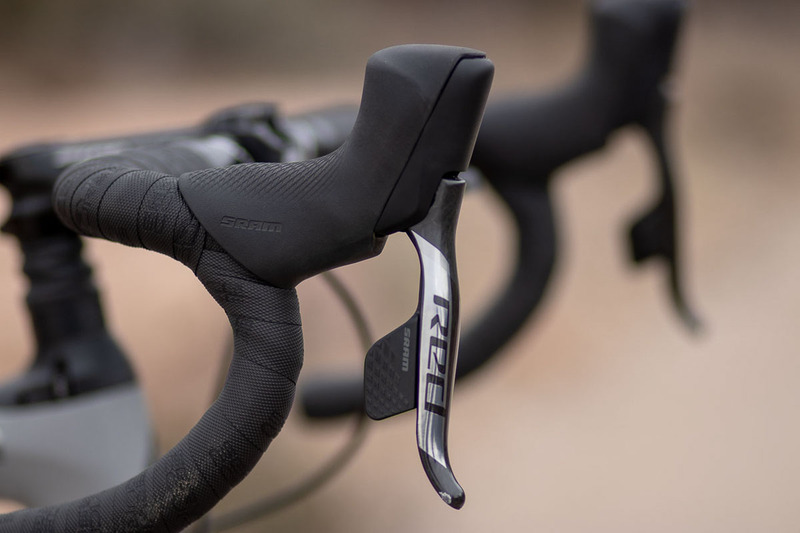 SRAM has said that as of the time you are reading this piece, bike companies, online retailers and local bike shops will already have road bikes in stock with the new SRAM Red eTAP components, while SRAM Red eTAP AXS component groups will be available shortly as well. 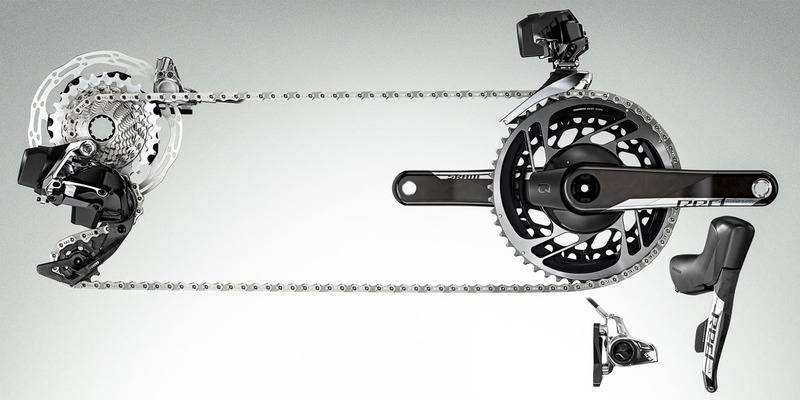 SRAM Eagle AXS will hit the market a bit later, most likely in April. 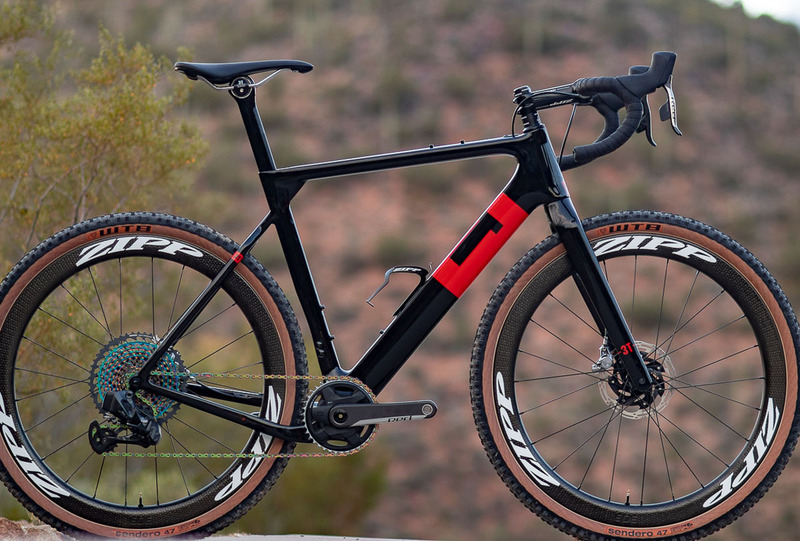 The company was also upfront about a SRAM Force AXS group coming in the near future, likely April, but would not share any details on that group. While SRAM’s Red eTAP drivetrain is not revolutionary or a game-changer, it’s an attractive, intuitive, high-performing system that begs consideration if you are building up a high-end road bike or gravel bike. The chainring and cassette options make it hard not to find the perfect gearing for your ride, and the Orbit fluid damper works really well. And the wireless communication makes for such easy bike builds—no cables or wires to route, zip tie or thread. It’s worth noting that I’ve only got a handful of rides on a 2x system, and just a few minutes on a 1x setup with an Eagle cassette. However, for just pure cyclocross racing, I’m not so sure yet if the SRAM Red 1 eTAP AXS system would be my top choice. If Jeremy Powers and Wout van Aert rely on 10-33 cassettes, the widest range offered with the Red derailleur, is that enough range for a very amateur B racer like myself? I tend to enjoy having one bike set up for all types of riding. Ride trails or gravel during the week, race cyclocross on weekends. For such riding, I’m typically on an 11-42 cassette and a 40t chainring and use that for everything. Maybe for a flatter course, I’d run a tighter cassette, but most of the time, I can’t be bothered to change it before a race. My results don’t matter that much. Half of the time, at least in hilly California, I find a course feature where the low 42t cog comes in handy, even if running might be faster. And nearly every weekday ride, I’ll find myself in the low gear. For my purposes, I think I’d rather stick with the SRAM Red 2x eTAP AXS option. Sure, it’s not what Powers, Vos, Van der Heijden or Pidcock used at Worlds, but most of us aren’t as strong as them, and I’m certainly not. 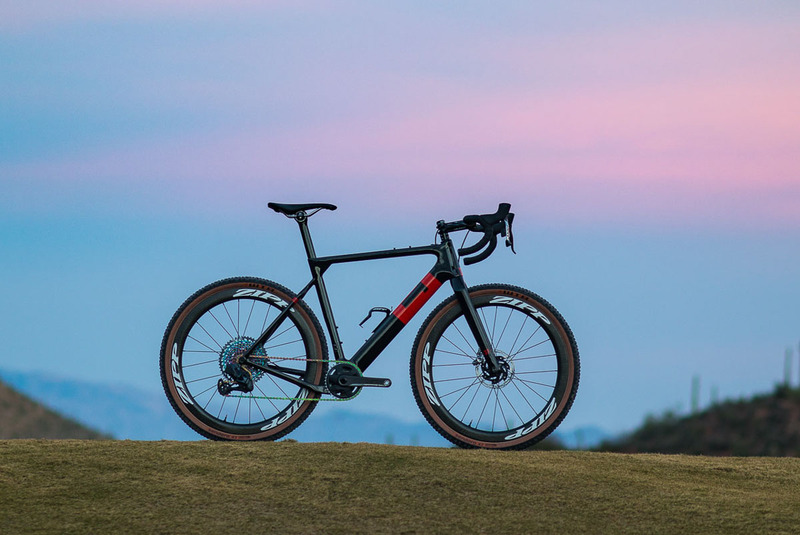 SRAM has done such a good job converting cyclocross racers to 1x drivetrains, that it seems weird to now prefer a SRAM 2x option on one bike to tackle everything. Yet it’s evidence to the fact that the company built a high-performing, reliable drivetrain that works well for all kinds of off-road riding. RoadBikeReview.com is an online community of cyclists who share a passion for the sport. 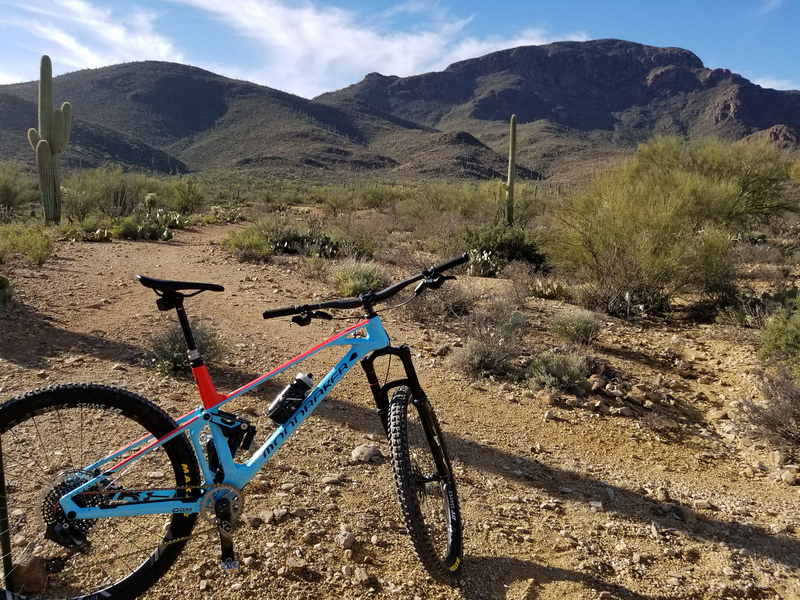 Visitors of the site regularly purchase gear to upgrade their bikes, share inspiring photos of rides, and keep up to date with the latest industry and technology news. Which products perform best? Where to buy them? Where to ride? How to ride better? Cyclists come to RoadBikeReview.com for the answers.